"I think I shall stay. You seem to have caught my attention." I replied after a slight pause. "So Riley. Whats next?" I asked eying him wearily. My demanding emotions where scaring me and I wasn't about to let it get the better of me. Sure I had relaxed but that didn't mean I wasn't still going to be cautious. "That's good." he said repling to both the answers. "I'm glad you chose to stay." he sat there thinking for a second. "Well....i don't know realy." he said scratching his head and laughing. "We could talk about different things or well i'm actually new here so i don't know what goes on around here." he stated. "Well I've only been here" I indicated the forest "and only for 5 days. I'm sure I don't know this place any better than you." I replied. I didn't want to start a conversation. I wasn't much of a talker even when I was young and open with my mother. "Ya i've been here and around the mall i think." he said thinking back to earlier today before he came to the woods. He looke around the woods, he didn't know what to say. He hadn't really had a conversation with someone since Elizabeth. "Well whatever you want to do or talk about Arielle is fine with me." he told her. I laughed realizing we were in the same predicament. And was surprised to hear the sound of it. I hadn't laughed since before my bothers betrayal. Well if I wasn't going to leave then I definitely needed to get some conversation started. "Why here?" I asked meaning forks. Riley smiled at her when she laughed. He sat there and thought about the question. "I guess it's just another stop. I mean my whole life as a vampire i've been exploring the world but i don't really know i might be here a while. It seems i don't have to hide like i would anywhere else." he said. "What about you, why did you come to Forks?" "Another Town. Quite, small, and plenty of forest to watch as human life goes on. I've never been able to fill my curiosity of human life. How they live day to day thinking they are safe. That they are the top of the food chain. It's quite intriguing. And different. No matter where you go in the world none of it's the same." I muttered day dreaming about everything I've scene. "I guess you could say its a stop along the way." I replied actually addressing Riley now. "Yea." Riley said. He was never one to speak with humans but he was able to coexist with them. "This stop might be a lot longer then normal." he said quietly. He wasn't in no hurry to leave Forks. Like Arielle had described it, it was very nice and small plus plenty of woods and animals to hunt made it easier. I sighed. I didn't know what to say. This was a difficult conversation to carry on so Instead of trying to spark something I turned my attention to the heavens. And stared out at the stars. Each one so alike but so different at the same time. Much like the living beings of earth. I sighed again. He watched her stare at the sky. Both their conversation skills weren't that good. He glanced up at the sky and then back at her when she sighed. "Is something troubling you?" he asked her, it was at least something. "Nothing more than normal." I replied half heartedly. I realized we weren't going anywhere with this but I didn't know how else to respond. I thought about similar conversations I had heard humans use. "Why something bothering you?" I muttered. It was something. "That's good and no i'm just fine." he replied. He searched his brain for another topic so that away she wouldn't leave. "So where did you live before you came here?" he asked. "Well." I had to think. "North in Canada. Although I wasn't there long. It was a peaceful town no bigger than this but there wasn't as much protection as there is here." I paused. "You?" "Well i've been everywhere but my last stop was Wisconsin. It's not that bad there but i felt it was time to move on." he said. "I'm originally from New Rochelle, New York." "Hmm, I haven't been to New York it seems to crowded but I know very little of it." New York was an interesting place but I wouldn't want to be caught in between people, but all I've heard of was New York, New York. I knew nothing of the other places. "I'm from a small tribe from deep in the amazon forest." I replied feeling led to give the information. "Yea well it's to crowded now." he shrugged. He hadn't been back to his home town in years and he probably wouldn't go back. "Wow that's cool." he stated. They were alike but from two different places. She was from a small little tribe and he was from a big city. I sighed. There wasn't much I could say to that. It seemed that although we were from two completely different places we were so similar. It was such a strange thought. I had never considered myself to be similar to someone else. "So what was it like growing up in a tribe?" he asked. He was curious about how she lived far away from civilian life for so long. "Well technically i didn't." I replied. "It would be quite hard for me to grow up among humans." He nodded his head and then silence fell between the two. "So do you plan on hanging around here for a while?" he asked her. So far she was the first person he talked to and she was like his new best friend. So if she left there wouldn't be no reason for him to hang around any longer. "I haven't made up my mind." I muttered. I didn't find this town very enjoyable to watch from the outside but I didn't have any reason to leave at the moment. "Oh." was all Riley said. "Have you ever been down into the town?" he asked. It might have been a stupid question to ask seeing that she didn't trust people, but she seemed to trust him. Maybe if he got her to trust people and to go down to the town with him then she might stay longer. I cringed just thinking about getting that close to humans to actually be in town. "I'm been to the forest edge." I muttered facing away from him as I got control over where my thoughts were taking me. I didn't need to show my fear to him. "Oh sorry i asked." he apologized as she sat facing away from him. He hadn't meant to upset her or anything he had just been asking. He shifted slightly and silently and sat there quietly. "No, its a reasonable question. 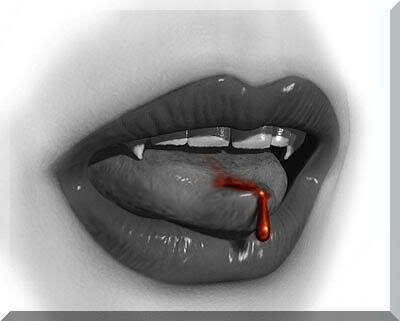 I think I'm the only part vamp here who hasn't been into town" I said finally getting a grip on myself. I turned around and smiled at him. "There fascinating creatures. Humans I mean."